Is Skvernelis aiming the post of president? The scandal surrounding Greta Kildišienė has helped the voters of the Lithuanian Peasant and Greens Union to recover their critical thinking – the party’s ratings are falling. However one of the party’s stars – Prime Minister Saulius Skvernelis continues to rise in ratings. With the “Peasant” ratings dropping by 4%, Skvernelis’ popularity rose by more than 10% during the month. Political scientist Ieva Petronytė says that this could be the beginning of the “Skvernelis era”, TV3.lt reported. 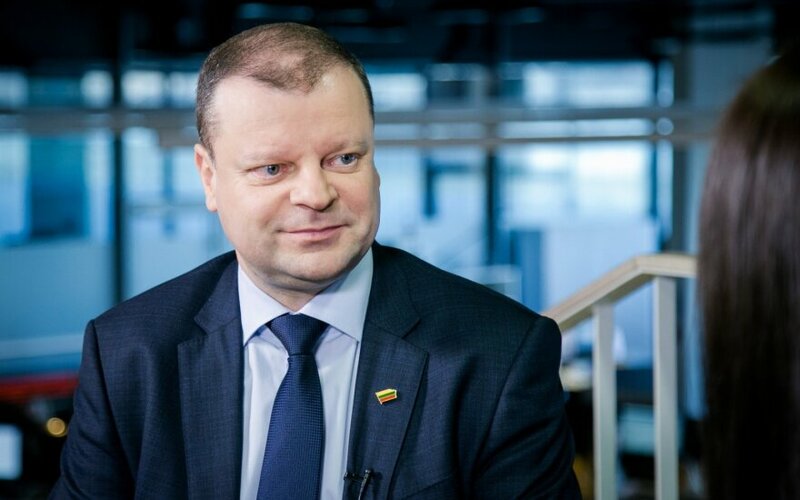 The political scientist claims that S. Skvernelis currently has no competitors and remains unblemished after the scandal which struck the “Peasants”. “First of all it was not the “Peasants” that raised him up, but him who helped build the wave of popularity for the “Peasants”. He was always more valued as an individual, not as a representative of the party. As such the “Peasant” scandals did little to harm his popularity. S. Skvernelis managed to retain the image of a moral individual, a clean politician. He has made no critical mistakes, works consistently. It would appear that trust in him will stay constant. Furthermore he is the first in a long time to pass President Dalia Grybauskaitė in the ratings chart,” I. Petronytė. The expert believes that S. Skvernelis’ prospects are promising. “It is clear that the politician is viewed as a strong leader. With such trust, avoiding scandals and unpopular decisions, it is possible to establish oneself at the pinnacle of politics for a long time. I believe that in the future presidential election we will see him as a candidate,” she predicted. After a landslide election victory the Peasant and Greens Union has experienced its first loss of ratings. The political scientist is not surprised by this – the so called honeymoon had to end at some point. “A drop after all the events in January is not surprising. Of course we have to keep in mind that the Peasant and Greens remain the first, best rated party. It is the party people trust the most. Nevertheless, not as much as before the Greta Kildišienė scandal and the publication of Ramūnas Karbauskis’ deals. The idea of transparency declared by the party has faded, people are starting to have doubts,” Petronytė said. She also points to another reason why the people have become more critical of the “Peasants”. “The Peasant Greens entered as a new force and were evaluated based on their promises, not their prior actions. However after the elections, with work starting, people saw that things are not being done exactly as promised. This is why we are seeing a drop in ratings,” the expert summarised. The Peasant Greens’ best days are over and they will now have to try harder or ratings will continue decreasing, the political scientist notes. “Their star is beginning to descend, however the gap between them and other parties is sufficiently large. Bar new scandals and given good management of former ones, it could be that their ratings will not diminish greatly anymore. Nevertheless the ratings likely will not rise either. Unless some sort of exceptionally popular decisions are made, something not currently expected. As such I would not predict another rise for the “Peasants”,” she said. The political scientist calls the Peasant Greens’ popularity phenomenal. “Such cases are exceedingly rare in Lithuanian history, particularly among ruling parties. We, Lithuanians, are uninclined to trust political parties. And here we have a political power which won the elections by a wide margin and maintained its ratings for several months. This is a rare case. Of course this phenomenal popularity had to start fading at some point,” she explained. I. Petronytė says that the Peasant Greens attempted to create an impression of competent, but sincere individuals. Their portrait was a counterweight to the other political powers in Lithuania which are critiqued for corruption. However reality revealed that there are no saints and thus voters should gradually come to their senses and view the party more realistically. The public opinion survey was performed on January 17-25 by Spinter Tyrimai under commission of the Delfi news portal.